With Global you really are spoiled for choice, come with us and travel the world. You can fly fish for Atlantic Spring Salmon on the top Atlantic Spring Salmon River in the world in Scotland; the Royal River Dee, holiday home for British Monarchs since the bygone days of Queen Victoria. The River Dee is home of greased line fly fishing which is the forerunner to floating line fishing we love today. The River Dee produces bright spring salmon from the first of February every year to a carefully presented fly. These salmon are rock solid beautifully shaped and conditioned fish which fight like Tigers and don’t give up without a titanic struggle. 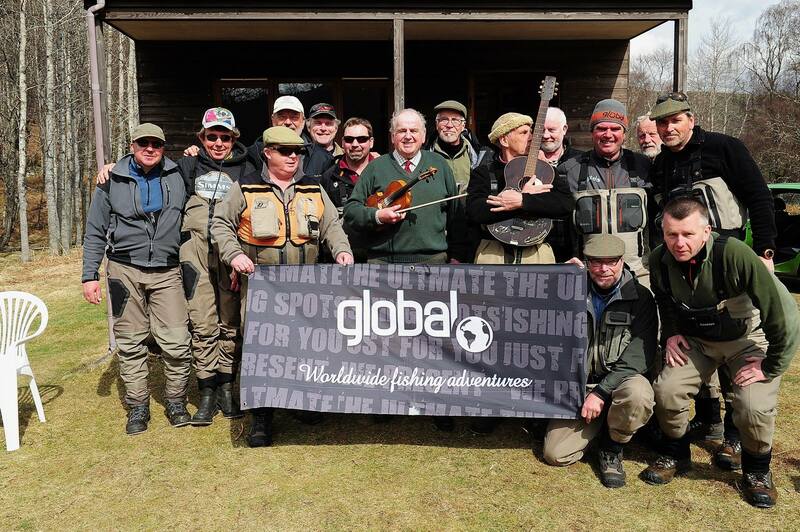 At Global we provide fishing and accommodation packages for you on some of the prettiest and most productive River Dee beats. We have been travelling to the River Dee, bringing groups of fishermen since 1995, and like to think we offer unique fishing packages. We know the river, the Ghillies, the fly fishing methods most likely to deliver success to you and the beats where you really want to come and fish. We arrange very comfortable accommodation for you and a good quality dining experience where meals are carefully prepared with locally sourced produce. Over the last 19 years we have had many parties of fishermen come and experience the River Dee and experience a great variety of beats to maximise their River Dee experience. Many of our visiting anglers take tremendous pleasure from fishing some of the prettiest beats with fantastic Ghillies who have a wealth of experience in looking after visiting anglers. Virtually every year one of our party will land a spring salmon in excess of 20lbs. After a great weeks fishing, we round of the week with a great farewell dinner, where our local friends join us to celebrate our friendship and success with the salmon, with a dram or two. We even manage to have a Piper join us to play traditional Scottish music as we sit down to dinner. All in all it’s a fabulous opportunity to come and fish the top spring Salmon River in the world and experience the renowned hospitality that is unique to Scotland.